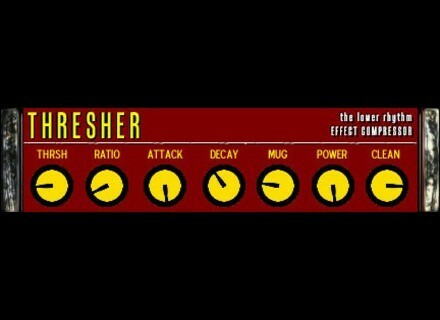 Thresher, Software compressor from The Lower Rhythm. The Lower Rhythm has released Thresher, a compressor effect plug-in for Windows. Variable ‘Tube’ control for saturation or heavy distortion. Thresher for Windows (VST) is available to purchase for $11.99 USD. Splurgo Audio releases Djembe and Udu Loops Splurgo Audio announces the release of two new sample packs: Djembe Loops Pack 2 and Udu Loops Pack 2.